The RIBA-II robot is being readied for clinical trials in hospitals. 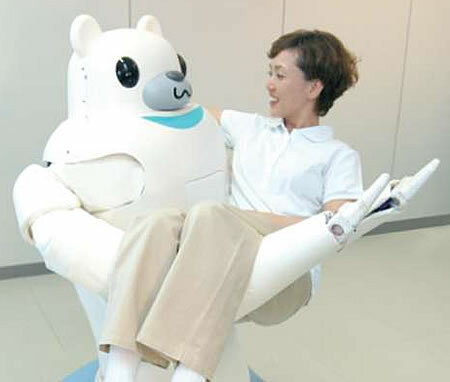 This robot, the Robot for Interactive Body Assistance, can lift people weighing up to 80 kilograms from the floor or a chair into a bed or gurney. As seen in this picture. I often have the feeling that roboticists are unconsciously following the dictates of the sf novels and films that they absorbed when younger. Where have I seen this picture before? Ah, that's right. 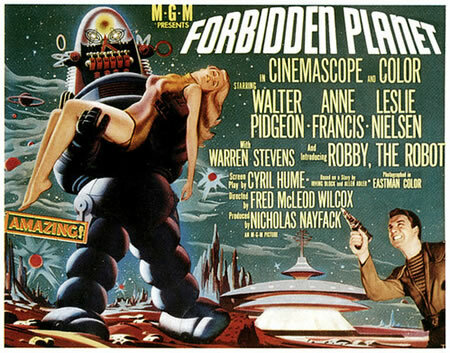 In the famous 1956 film Forbidden Planet, Robbie the robot carries Altaira (Anne Francis). Find out more about RIBA-II robot.